The Hitec advisory council meeting. Hitec Dubai 2018, a hospitality industry technology event, is an ideal forum for startups in the travel technology sector to promote their technology and convince target markets, said a travel trade expert. Co-produced by Hospitality Financial and Technology Professionals (HFTP) and Naseba, Hitec Dubai 2018 is the region’s largest hospitality Technology Exhibition and Conference and will be held on December 5 and 6, 2018 at the Madinat Jumeirah Dubai. Dubai’s drive towards technology-powered future is aimed at becoming the Middle East’s biggest tech hub and a pioneer in smart services. 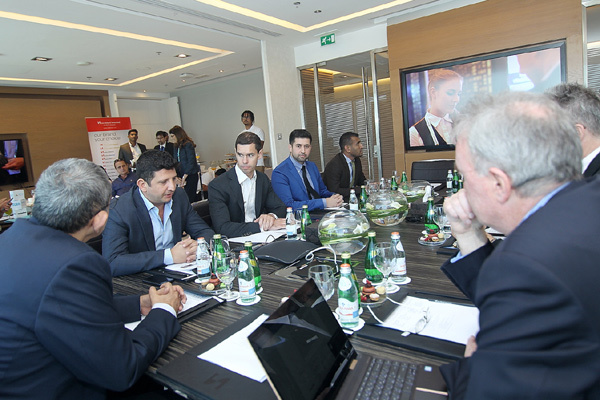 This is attracting to the emirate the world’s leading technology companies and events such as Hitec Dubai 2018 organised in association with Dubai's Department of Tourism and Commerce Marketing (DTCM). “Events such as Hitec Dubai are the ideal forum to bridge the knowledge gap between startups and established brands as startups often face challenges both in commercialising their tech and in convincing target markets,” said Hamadeh.